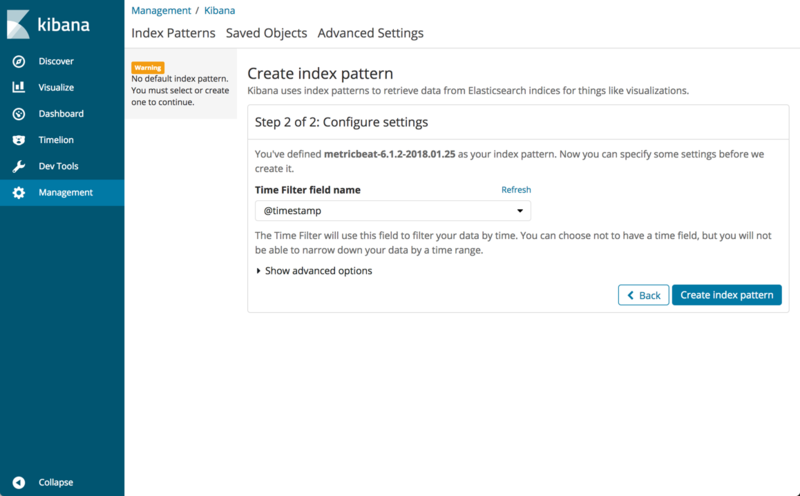 The ELK Stack (Elasticsearch, Logstash and Kibana) can be installed on a variety of different operating systems and in various different setups. While the most common installation setup is Linux and other Unix-based systems, a less-discussed scenario is using Docker. One of the reasons for this could be a contradiction between what is required from a data pipeline architecture — persistence, robustness, security — and the ephemeral and distributed nature of Docker. Having said that, and as demonstrated in the instructions below — Docker can be an extremely easy way to set up the stack. 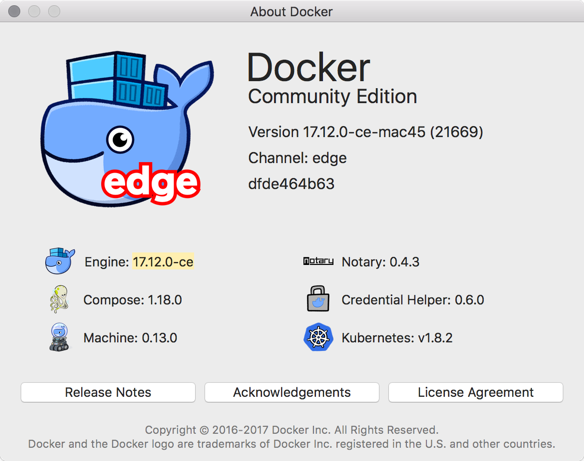 Just a few words on my environment before we begin — I’m using a recent version of Docker for Mac. 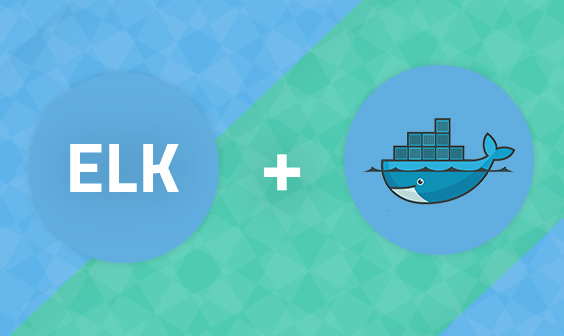 There are various ways to install the stack with Docker. You can pull Elastic’s individual images and run the containers separately or use Docker Compose to build the stack from a variety of available images on the Docker Hub. 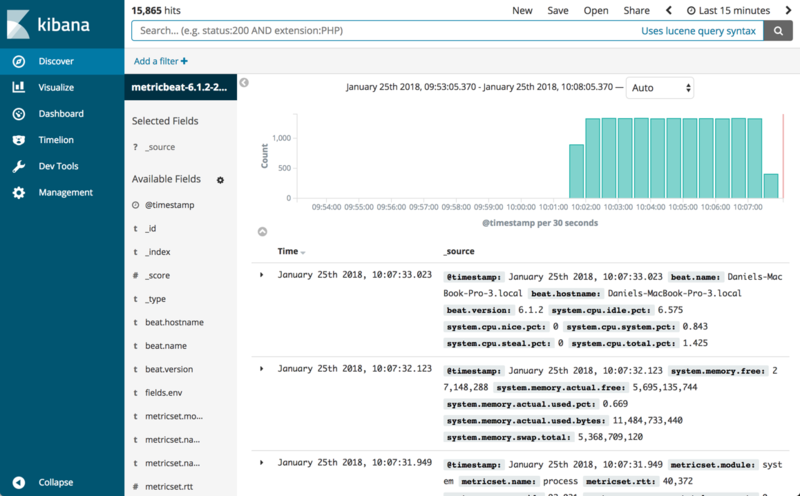 For this tutorial, I am using a Dockerized ELK Stack that results in: three Docker containers running in parallel, for Elasticsearch, Logstash and Kibana, port forwarding set up, and a data volume for persisting Elasticsearch data. git clone https://github.com/deviantony/docker-elk.git remote: Counting objects: 1112, done. remote: Total 1112 (delta 0), reused 0 (delta 0), pack-reused 1112 Receiving objects: 100% (1112/1112), 234.87 KiB | 84.00 KiB/s, done. Resolving deltas: 100% (414/414), done. Checking connectivity... done. remote: Counting objects: 1112, done. Receiving objects: 100% (1112/1112), 234.87 KiB | 84.00 KiB/s, done. Resolving deltas: 100% (414/414), done. You can tweak the docker-compose.yml file or the Logstash configuration file if you like before running the stack, but for the initial testing, the default settings should suffice. It might take a while before the entire stack is pulled, built and initialized. After a few minutes, you can begin to verify that everything is running as expected. You’ll notice that ports on my localhost have been mapped to the default ports used by Elasticsearch (9200/9300), Kibana (5601) and Logstash (5000/5044). 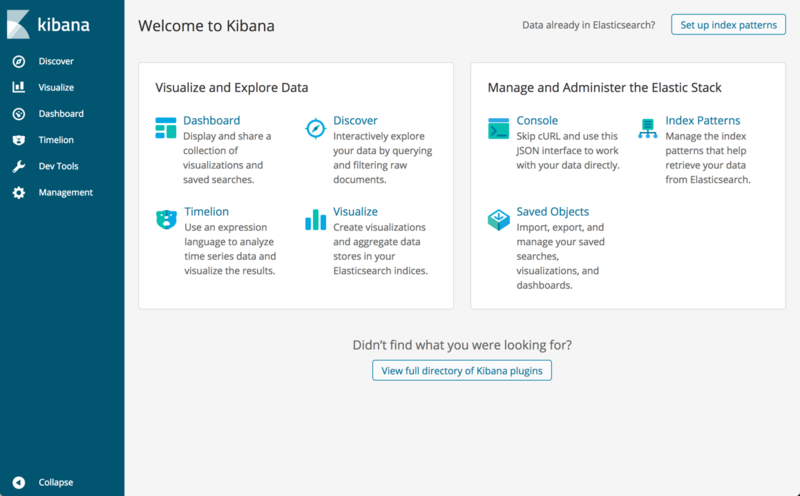 And finally, access Kibana by entering: http://localhost:5601 in your browser. Our next step is to forward some data into the stack. By default, the stack will be running Logstash with the default Logstash configuration file. You can configure that file to suit your purposes and ship any type of data into your Dockerized ELK and then restart the container. Alternatively, you could install Filebeat — either on your host machine or as a container and have Filebeat forward logs into the stack. I highly recommend reading up on using Filebeat on the project’s documentation site. I am going to install Metricbeat and have it ship data directly to our Dockerized Elasticsearch container (the instructions below show the process for Mac). sudo chown root metricbeat.yml sudo chown root modules.d/system.yml sudo ./metricbeat -e -c metricbeat.yml -d "publish"
sudo ./metricbeat -e -c metricbeat.yml -d "publish"
After a second or two, you will see a Metricbeat index created in Elasticsearch, and it’s pattern identified in Kibana. Define the index pattern, and on the next step select the @timestamp field as your Time Filter. 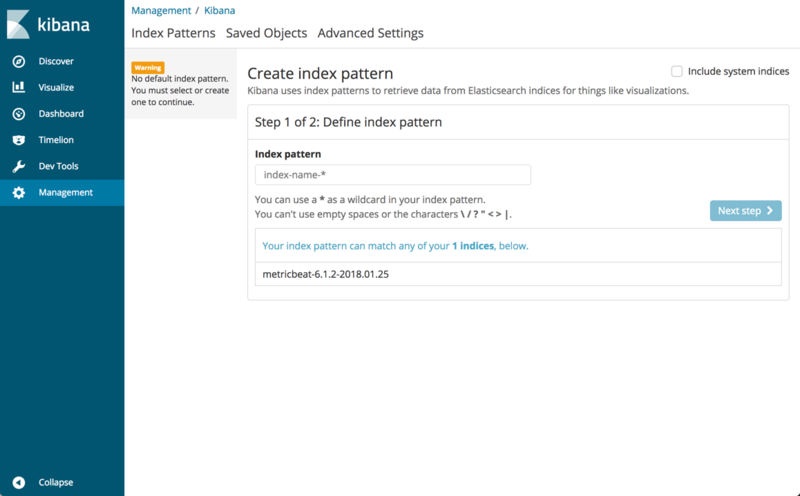 Creating the index pattern, you will now be able to analyze your data on the Kibana Discover page. Of course, a production ELK stack entails a whole set of different considerations that involve cluster setups, resource configurations, and various other architectural elements. 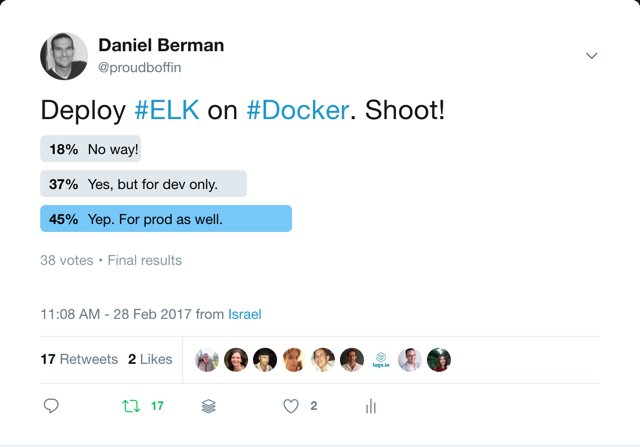 Looking for a scalable ELK solution for your Dockerized environment? Check out Logz.io!